Did you know if you sow seeds at certain soil temperatures you will get the best germination rates? Every plant species has its own sweet spot, and the more we accommodate this, the better the results. If you have struggled with seed starting, this may be the tip you need to turn that growing thumb green. 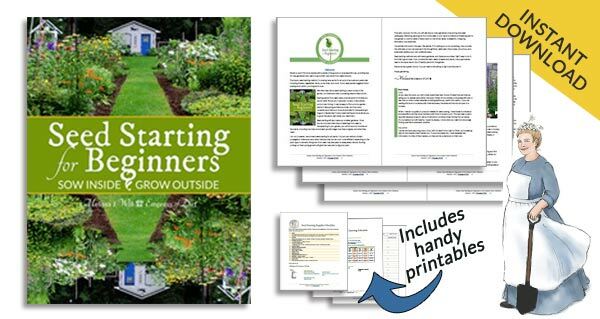 For more beginner tips, also see Seed Starting 101 and clever ways gardeners use warmth to speed up seed germination. First, what is a seed? Seeds contain embryonic tissue and food stores that nourish early growth, enclosed in a protective coat. That coat prevents germination (growth) until conditions change. To store seeds and prevent germination, it is recommended to keep them in a cool, dry, dark place with consistent temperatures between 32-41F (0-5C) and not more than 50% humidity levels. Long-term storage requires lower temperatures and humidity levels as they do at the Svalbard Global Seed Vault in Norway. To awaken seeds from dormancy and trigger germination, conditions must change. When we sow a seed, we introduce water (moisture), which softens the protective coat, and warmer temperatures which provoke growth. Air and light play a role as well. 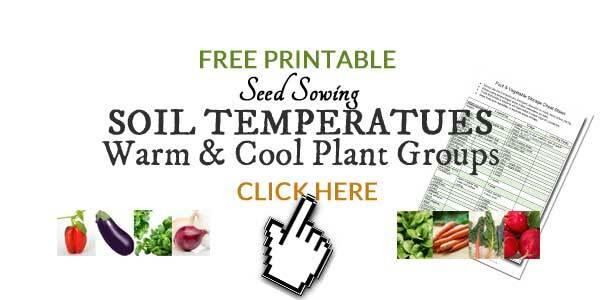 When we look at temperatures for seed germination, it is the temperature of the soil or growing medium in direct contact with the seed or roots that is so important. Research shows that every single plant species has its own preferences. Getting the soil temperature right—or within optimum range—can greatly affect germination rates. Ten pepper seeds started at 60F, may yield one or two plants, and take weeks to sprout. This is what we refer to as a seed liking ‘warm feet’. Keep in mind that this is just one example and the sweet spot is different for each plant species (and can vary by subspecies as well). If you made a chart of every seed you sow (which I did before writing this) and noted their optimum soil temperatures, you’ll see that the range is vast, making it would be nearly impossible to accommodate every one of them individually. You’d have to check soil temperatures obsessively and be on high alert with seeds at the ready. The warm crops like basil, eggplant, pole beans, and tomatoes germinate best with warmer soil temperatures. The plants in the cool / cold group prefer the lower temperatures of spring and autumn, and includes beets, carrots, salad greens, and turnips (see below). You will also notice that some crops known to grow nicely in cool conditions actually respond best to extra warmth for seed germination, yet mature best in cooler temperatures. Clearly, nature is not concerned with convenient plant rules. Also, how long a plant takes to mature is also a key factor for seed sowing, since you want that slow-growing watermelon ripe before autumn frosts set in, so do read your seed packets to get the timing right. 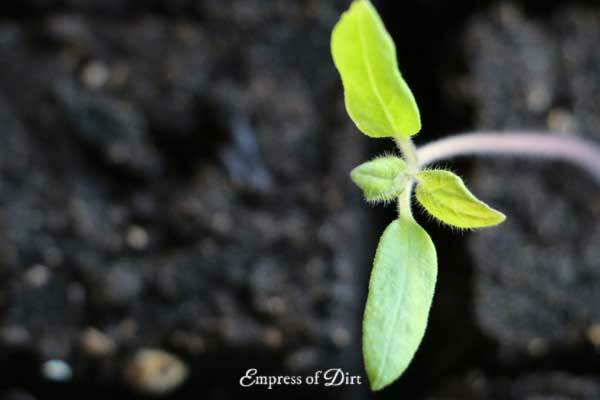 For all seeds, if soil temperatures are too cold, they will not sprout. If temperatures are too warm, they either will not germinate, or, they will grow too rapidly, and fail to mature properly or die off. Ever see a crop bolt? That’s the result of too much heat. While preparing this article, I noticed some variations in the research so I used specific numbers where there seems to be a consensus. For starting a variety of seeds at home, I have provided the two main sowing groups (below), so you can come up with a realistic sowing plan and work the soil temperatures to your advantage. 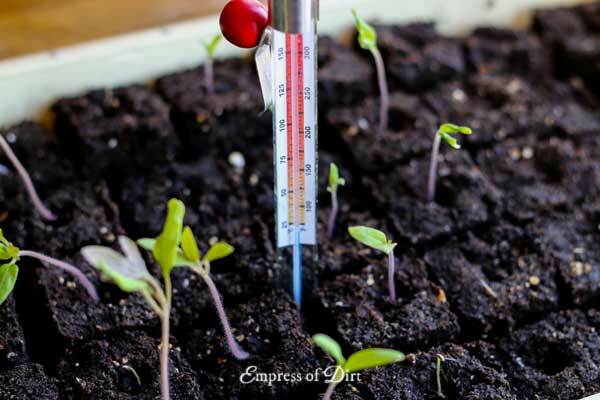 For a good reading, place the thermometer in the soil approximately 3″ deep (or however deep the tip allows) and allow a minute for a definite reading. Measure both in the morning and afternoon, a few days in a row. The process is the same for indoor seed starting: take enough readings that you are confident the soil is consistently within the desired temperature range. Note all the readings and take the average. When the average is in range, it’s sowing time—assuming it’s the right time of year. You can use a kitchen meat thermometer to measure soil temperature or get an official soil thermometer, which is really the same thing. I have a digital thermometer with a metal probe and it works nicely. For outdoor sowing, one practical way to increase soil temperature is to add a few inches of compost to the soil. This will help keep warmth in and expedite the temperature gain. Indoors, you can use a seedling heat mat to warm the soil for better and faster seed germination rates. I also have a list here of clever ways gardeners use existing warmth within their homes to help speed up germination. In the lists below, I’ve noted some specific temperatures next to the plant names. And yes, some plants that prefer cool growing traditions overall, respond best to warm seed-starting conditions. Always read your seed packets for specific sowing tips. If you would like to print out these lists or keep a copy on your device, click here to download it (it’s free). *Cabbage, radish, and turnip are considered cool crops but do like extra warmth for seed germination. If you would like a free printable of these plant lists or save a copy to your computer, click ‘Add to Cart’ below. New to downloading files? There are step-by-step instructions here. 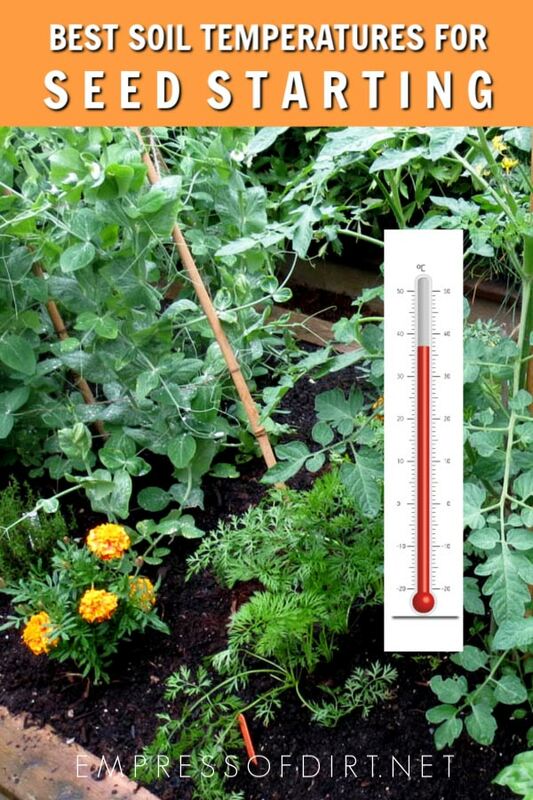 If you are eager to sow seeds in spring or fall, check the cool crop list for candidates, and grab your thermometer. Start checking your soil temperature and sow when conditions are right. Warm crops can often be slow-growers and do best with indoor seed starting to allow enough time for the plant to mature and fruit. This is so useful. Thanks! My lettuces are already beginning to poke through the soil. Very exciting!